Using high-quality aluminum, we are engaged in offering Aluminium Block. We source these superior quality Block from our registered vendors who engineer these Block as per set industry norms using industry grade aluminum. We have a support of a skilled team who manufacture the product keeping clients requirement and necessities in mind. The offered product is not only cost effective but gives an efficient performance. 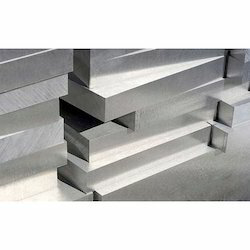 We are one of the leading stockists, Suppliers, and Exporters of Aluminum Products. Aluminum Blocks: Available in Different grades such as 5083, 6061, 6063, 2014, 2024, 7075, Etc. Looking for Aluminium Blocks ?